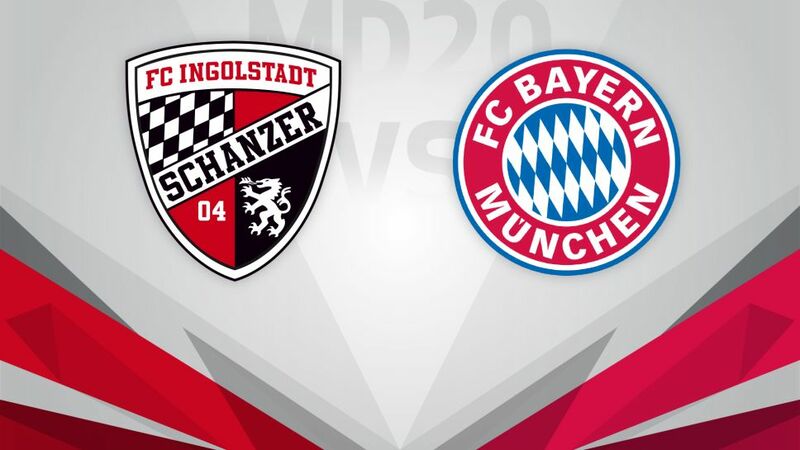 They may have come bearing a truckload of sausages on their last visit, but on Matchday 20, FC Bayern München will target leaving with all three points against FC Ingolstadt 04 (kick-off 15:30CET/14:30GMT). Bayern chairman Karl-Heinz Rummenigge promised to treat the entire club staff at Ingolstadt to a traditional Munich breakfast if they beat Bayern's title rivals RB Leipzig back in December.Die Schanzer duly obliged and did their Bavarian neighbours a favour, for which they were generously rewarded. This time around, however, Carlo Ancelotti's Bayern will likely not be so charitable, particularly having dropped points at home to FC Schalke 04 on Matchday 19. The home side will likewise pay little mind to pleasantries, however, having lost last time out at Hertha Berlin. To be sure, results against the likes of the Berliners and Bayern will not be what decides their top-flight fate, but Maik Walpurgis' charges will welcome any point they can scrap for in this season's relegation battle. Bayern could only draw on Matchday 19, but on account of Leipzig's defeat at Borussia Dortmund, they now have a four-point cushion at the top of the table for the first time this season.Robert Lewandowski has scored eight goals in his last seven league appearances.The Pole has also never failed to score against Ingolstadt, netting four of his side's seven goals against their Bavarian neighbours.In their first meeting this season, Ingolstadt ran seven kilometres more than Bayern and had 13 shots to their opponents' 10.Ingolstadt have lost all four meetings against Bayern.Along with Leipzig, Ingolstadt are the only team currently in the Bundesliga yet to take a point off Bayern.